Dana White, John Hathaway, Jason Brilz, Efrain Escudero and Cyrille Diabate post-UFC 114 interviews. UFC 114 fight video of 'Sugar' Rashad Evans vs Rampage Jackson. The Ultimate Fighting Championship UFC PPV aired main event fight took place on May 29th/2010 at the MGM Grand Garden Arena in Las Vegas, USA. UFC 114 fight video of Michael 'The Count' Bisping vs Dan Miller. The Ultimate Fighting Championship UFC PPV aired co-main event fight took place on May 29th/2010 at the MGM Grand Garden Arena in Las Vegas, USA. UFC 114 fight video of Antonio Rogerio Nogueira 'Lil Nog' vs Jason Brilz. The Ultimate Fighting Championship UFC PPV aired fight took place on May 29th/2010 at the MGM Grand Garden Arena in Las Vegas, USA. UFC 114 fight video of John Hathaway vs. Diego 'Nightmare' Sanchez. The Ultimate Fighting Championship UFC 114 PPV aired fight took place on May 29th/2010 at the MGM Grand Garden Arena in Las Vegas, USA. UFC 114 fight video of heavyweights Todd Duffee vs Mike Russow. The Ultimate Fighting Championship UFC PPV aired main card fight took place on May 29th/2010 at the MGM Grand Garden Arena in Las Vegas, USA. UFC 114 video of Luiz Cane vs. Cyrille Diabate. The Ultimate Fighting Championship Spike TV aired preliminary fight took place on May 29th/2010 at the MGM Grand Garden Arena in Las Vegas, USA. UFC 114 fight video of Efrain Escudero vs. Dan Lauzon. The Ultimate Fighting Championship UFC - Spike TV aired preliminary fight took place on May 29th/2010 at the MGM Grand Garden Arena in Las Vegas, USA. UFC 114 fight video of Melvin Guillard vs. Waylon Lowe. The Ultimate Fighting Championship UFC - Spike TV aired preliminary fight took place on May 29th/2010 at the MGM Grand Garden Arena in Las Vegas, USA. UFC 114 fight video of Dong Hyun Kim vs. Amir Sadollah. The Ultimate Fighting Championship UFC - Spike TV aired preliminary fight took place on May 29th/2010 at the MGM Grand Garden Arena in Las Vegas, USA. DREAM 14 MMA fight videos of Nick Diaz vs. Hayato “Mach” Sakurai. The bout took place on May 29th 2010 in Japan. 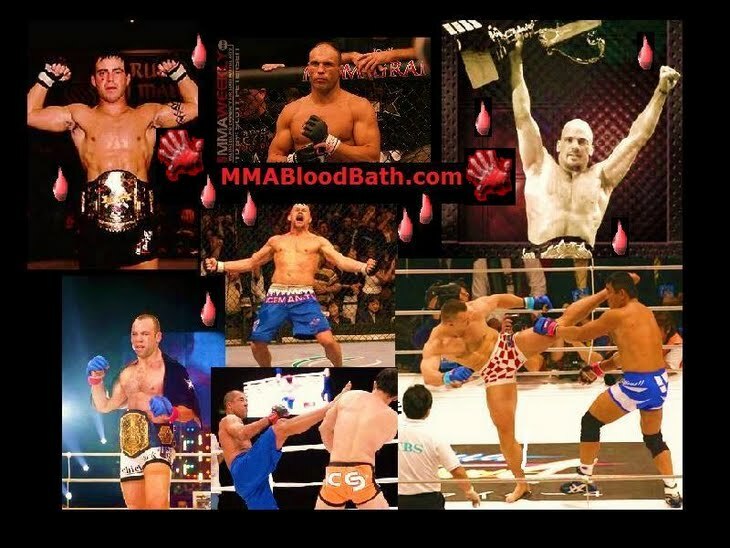 DREAM 14 MMA fight videos of Hiroyuki Takaya vs. Joachim Hansen. The bout took place on May 29th 2010 in Japan. DREAM 14 MMA fight video of Ikuhisa “The Punk” Minowaman vs. Imani Lee. The bout took place on May 29th/2010 in Japan. Amir Khan defends his WBA Light Welterweight Title against Paul Malignaggi on May 15th, 2010 in New York, USA. Strikeforce St. Louis: Heavy Artillery MMA fight video of Vitor Ribeiro vs. Lyle Beerbohm. The event took place on May 15th 2010 at the Scottrade Center with Alistair Overeem vs. Brett Rogers headlining.